Hereford Dental Health in Monkton serves patients of all ages and provides general dentistry for children. Our understanding staff takes special care of our youngest patients to make sure they are comfortable and safe. 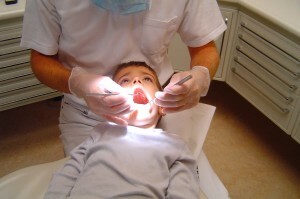 Children’s dentistry requires more than just comfort, however. Dr. Craig Longenecker understands how children’s dentistry differs from the treatment for older patients. If you have questions about cleaning your baby’s teeth or would like to speak with us about thumb sucking, dental sealants, fluoride supplements, tooth protection for kids’ sports, and orthodontia, call 443-672-2548 today to schedule a consultation.